Each year one of the most exciting aspects of the Great American Beer Festival is the ability to explore and sample some of the country’s best new breweries that have emerged on the scene. 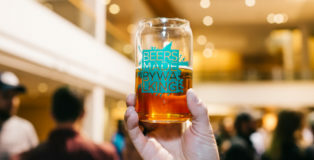 Additionally, it can be equally as rewarding to revisit some familiar faces you may only get to try once each year at the country’s largest beer showcase. 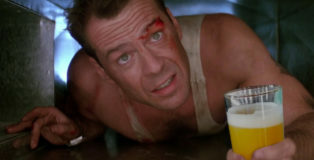 However, with the evolving landscape of craft beer, and varying priorities, we also tend to lose some familiar friends. 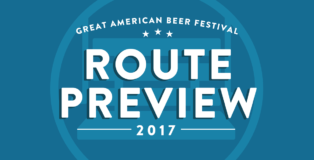 As we’ve done each year, we’ve broken down the new / returning breweries as well as those who sadly aren’t coming back for this year’s Great American Beer Festival. Over 800 Breweries. 4 Sessions. 3 Days. More than 4000 beers. 60,000 attendees. Spanning over 584,000 square feet (a 17% increase). This year’s Great American Beer Festival is back and primed for its 37th Anniversary. The field has finally been set, and we now know which breweries will be part of the world’s largest beer festival. It is time once again to begin planning your routes. Which breweries are your can’t miss? And which are your must tries? 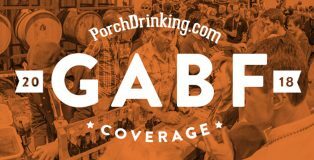 Be sure to check back often as we’ll be bringing complete GABF coverage leading up to, during and after the festival. 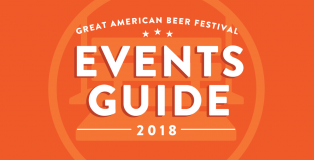 As the Great American Beer Festival continues to grow in size, and popularity throughout the years, so has the week surrounding it. 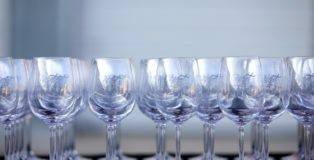 For those familiar to the country’s largest beer festival, often times the external events happening outside of the festival have drawn equal, if not greater interest, due to the quality of breweries lined up, and/or the unique approaches taken by organizers. 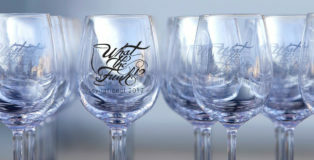 From unicorn tears to blue cheese sours, the 2017 What the Funk!? 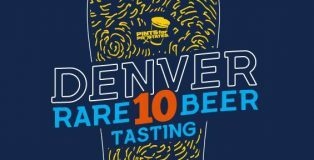 Invitational brought another year of sensationally wild and funk barrel-aged beers–this year at the gorgeous Studios at Overland Crossing in Denver. 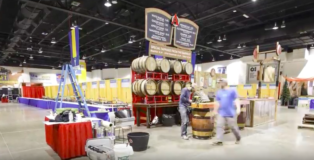 For the past three years, Avery Brewing has taken GABF booth displays to the next level. Not only does their’s booth look and feel like you’re in a barrel-aging facility, but the Avery team carts in and stacks filled barrels for timed releases, where attendants actually pull nails in order to pour beer straight from the source. On Saturday, October 7, Iron Hill Brewery & Restaurant won two silver medals at the Great American Beer Festival in Denver. This brings their lifetime medal count to 47, but that isn’t even the astonishing part of this story. 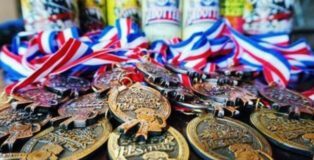 These medals—one for their Russian Imperial Stout in the Imperial Stout category and the other for Solzhenitzen in the Aged Beer category—extend an already amazing GABF medal-winning streak to an unprecedented 21 consecutive years. Episode 42 of The PorchCast was certainly a special one. 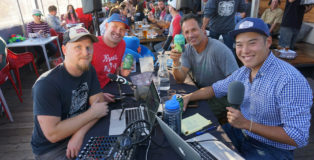 Not only did we have the chance to remote broadcast live for the first time from our friends at Avanti Food & Beverage, but we did so while interviewing Sam Calagione, founder of Dogfish Head Brewery, and one of craft beer’s most recognizable and outspoken advocates. There are few things more inviting than a dimly-lit hall bounded by floor-to-ceiling barrels donned with party lights, all leading the way to a destination where 50 firkins await. 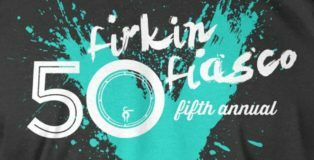 Held concurrently with GABF, the Epic Brewing 50 Firkin Fiasco provided beer fans with a bevy of experimental beers along with a plenty of food and live music. 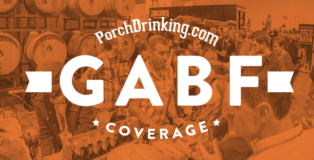 There are iconic moments at GABF, such as last year when Charlie Papazian proceeded to fist-bump himself after being recognized by Colorado Governor John Hickenlooper for the 35th Anniversary of the Great American Beer Festival. Papazian would also go on to fist bump the baby of Ryan Skeels of Baere Brewing when they won a bronze medal in the Saison category. 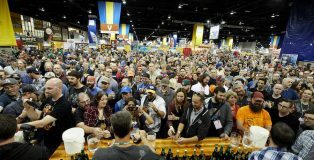 I know I said that I wasn’t going to write about the Great American Beer Festival, but I am setting my grudge aside for the good of my dear readers! 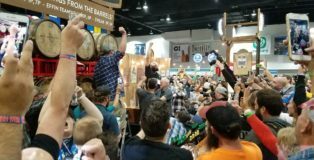 GABF 2017 wrapped up on Saturday night, and even though I was on the outside looking in, it seemed like a blast. We’ve collected tons of fun posts from this year’s festival, so prepare to live vicariously through your fellow beer nerds! 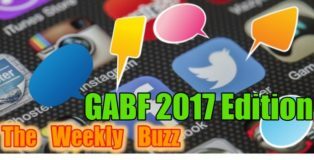 This is The Weekly Buzz: GABF 2017 Edition! Santa Fe, NM and Denver, CO foster a physical and cultural connection along the southwestern frontier. The expansive Western landscapes and its pioneering residents have untied the two towns historically, while creative industries and blurred cultural lines link the contemporary cities through similar tastes and expressions. Locals from both cities can wander the streets of Santa Fe – as well as a downtown Denver street aptly named Santa Fe- and find themselves immersed in creativity and culture. 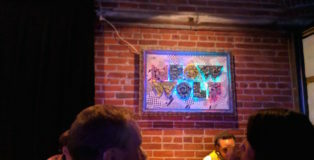 And over the past year Santa Fe’s most iconic art collective, Meow Wolf, has not so secretly flirted with the idea of making Denver home to it’s next big endeavor. 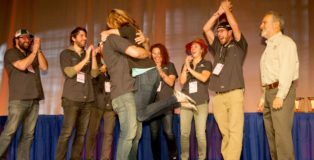 Saturday morning, The Brewers Association, craft beer’s national trade organization, announced this year’s winners for the Great American Beer Festival. This year’s winners showcase a trend that shifted away from familiarity with new names on the rise. 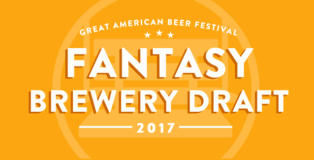 This year’s draft was sponsored by First Draft Taproom and Kitchen, located at 1309 26th St, Denver, CO 80205. They are Denver’s Pour Your Own Draft system that allows patrons to pour their own beers which are measured electronically by ounce. You can try a little of everything or pour yourself full pints of the 40 beers they have on draft. It’s like adult fro-yo for beer. We here at PorchDrinking believe beer should be fun. So four years ago we set out to add a different take on the Great American Beer Festival by inviting a mix of national and local writers to participate in our GABF Fantasy Brewery Draft. Each year we draft breweries based on how we believe they’ll finish during GABF awards ceremony and earn points based on those finishes.